Apple picks up Twitter stat firm Topsy, is it eyeing another go at social? Put this in 140 characters: Apple has picked up Topsy, a social-media analytics company specializing in data from Twitter. Word of the "more than $200 million [about £122m, AU$219m] deal" comes from the Wall Street Journal, and Apple confirmed the purchase with its standard "Apple buys smaller technology companies from time to time, and we generally do not discuss our purpose or plans" statement. It's particularly puzzling what Apple has on tap for Topsy. The firm is one of only a few that can access Twitter's "firehose" - every tweet that makes its way to the service. Topsy's tools, which can track data as far back as 2006, can do everything from sussing out how often a specific term is tweeted to finding influential people on a particular subject. In short, Topsy can mine troves of relevant, marketer-lip-smacking info. There are a few possibilities for what Apple can do with its new plaything. One option the Journal floated would be for Cupertino to use Topsy's tech for iTunes Radio. Determining and then alerting listeners to trending songs and hot-topic artists sounds right up Topsy's alley. Data for use in advertising also lives in the land of possibility, especially as Apple's own iAd platform has been met with less than enthusiastic responses from marketers. 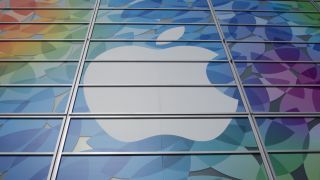 Even further afield, Apple could be eyeing another foray into social networking. The now-defunct Ping was a sorry try, but armed with better tools, this turn may stand a better chance at getting off the ground. Yeah, you forgot about Ping, didn't you? Forget Cyber Monday - more like Acquisition Monday. Just ask Yahoo.